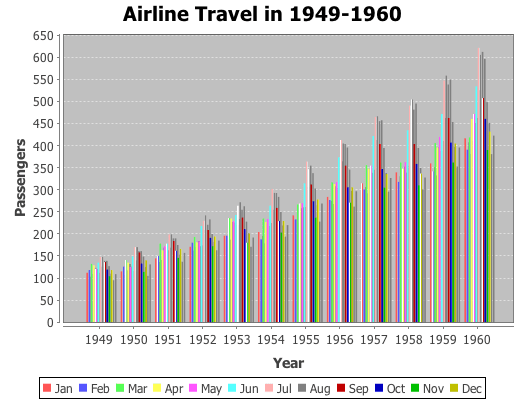 Yesterday, I received a question about plotting with non-numeric data. Unfortunately, the only way to do it in Incanter was to convert the data to numeric values, usually using the to-matrix function. 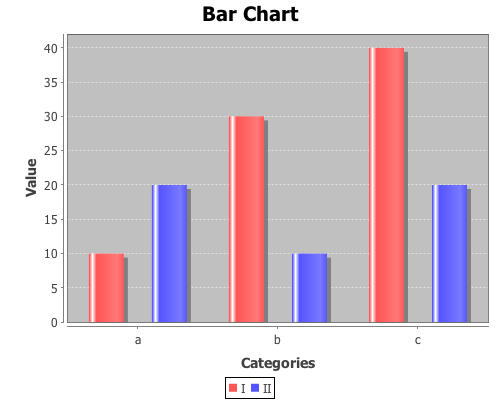 So I have added two new functions, bar-chart and line-chart, that accept non-numeric data. In order to reduce the likelihood of confusing the line-plot function with the line-chart function, I renamed line-plot to xy-plot (which better reflects the name of the underlying JFreeChart class). The following are some examples of using these functions (for other plotting examples, see the sample plots and probability distributions pages of the Incanter wiki). First, load the necessary libraries. 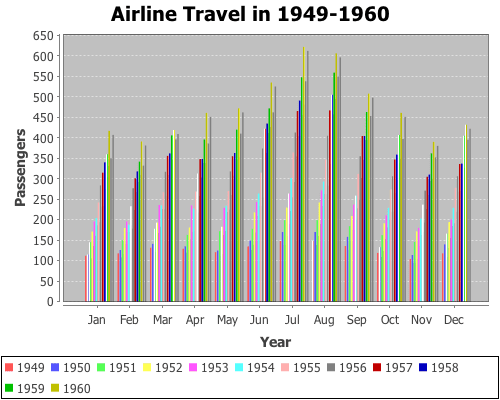 Now plot a simple bar-chart. The first argument is a vector of categories, the second is a vector of values associated with each category. 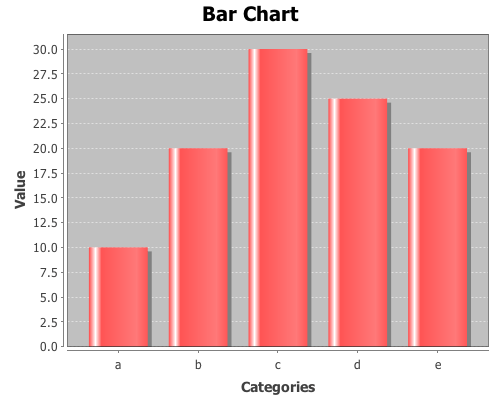 Use the :group-by option to associate multiple bars with each category. 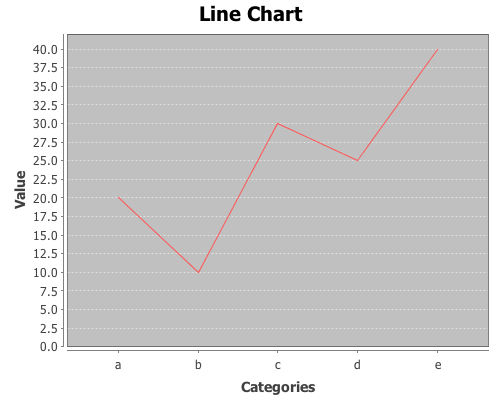 Line-charts behave just like bar-charts. 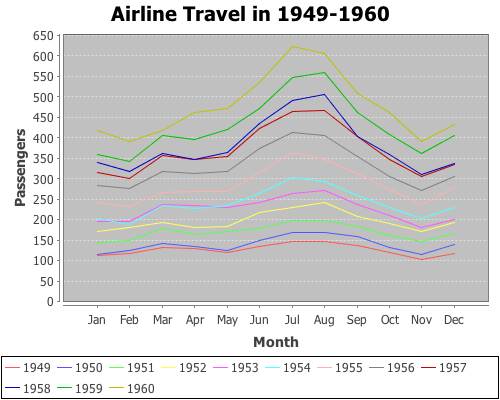 The following examples use data on the number of airline passengers from 1949 through 1960. First load the sample data using the get-dataset function. 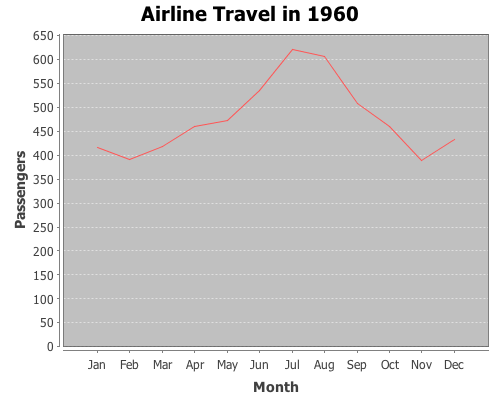 :title "Airline Travel in 1960"
and view the same data with a line-chart. 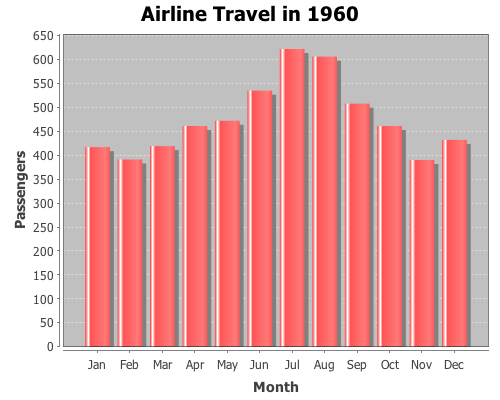 :title "Airline Travel in 1949-1960"
and do the same with a bar-chart. Instead of grouping by year, we can group-by month. The complete code for these examples can be found here. This entry was posted in Clojure, Incanter, plotting. Bookmark the permalink. My best wishes for the New Year.